As discussed in the previous post on data science and analytics, data is the new oil of the modern digital economy. There is a huge amount of data around us, and it’s expanding at an exponential rate. The challenge is that this big data set (Big Data) is noisy and heterogeneous. So, it’s very important to extract knowledge or insights from the data around us. 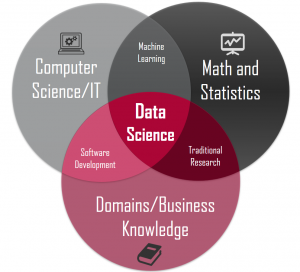 Data science consists of 3 pillars: Statistics & Machine Learning, Computer Science & Software Development, and Domain Knowledge. Data scientists collect, manage, analyze and interpret vast amounts of data with a diverse array of applications. Data Science and Machine Learning are hot topics. Several students want to study Masters in Data Science in USA. In this post, we will look at the top universities for Masters (MS) in Data Science in the US. Before proceeding to the list, let’s look at why study data science in the US. The US is the largest data science (and analytics) market in the world. The major benefit of pursuing MS in the US is to gain access to a huge number of job opportunities in the US. The US is also one of the most mature and innovative markets in data science and related technologies like machine learning, artificial intelligence, deep learning, and IoT. 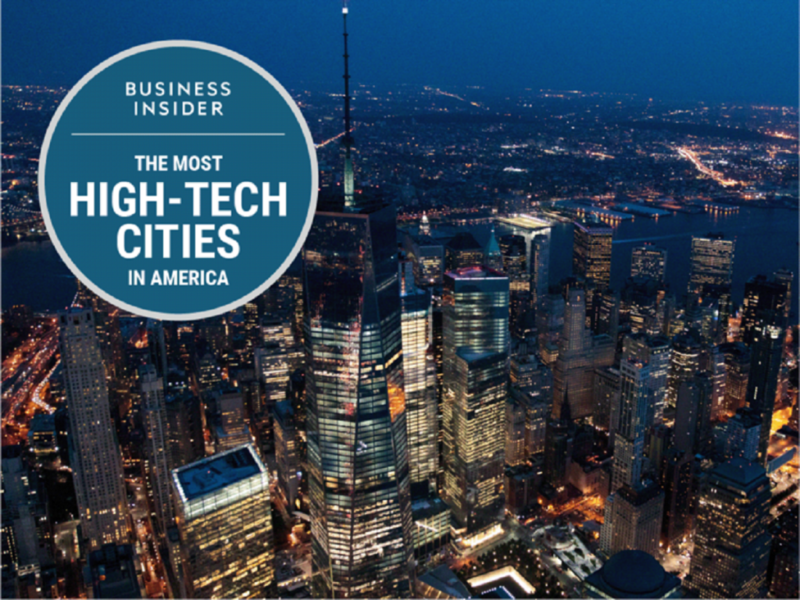 Most of the market leaders and tech giants are headquartered in the US. The US is also home to some of the most influential universities in the world. In 2016-2017 QS & Times Higher Education world university rankings, 33 and 41 US universities featured in the Top 100 respectively. All these factors make the US the most preferred destinations for pursuing MS in Data Science. Know more about Study in USA. 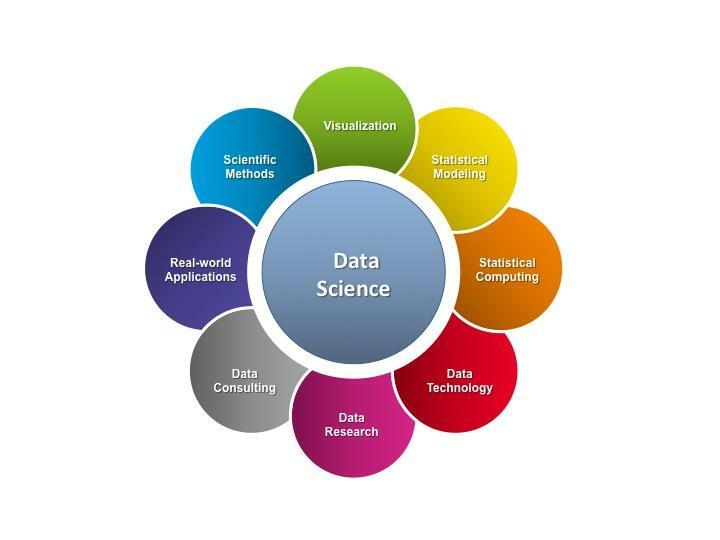 The Master of Science in Data Science at Columbia is run by the Data Science Institute at Columbia University. Being an Ivy League institution, there are no questions about its reputation. The MS program provides a good foundation for machine learning and programming along with practical experience. The students will have the opportunity to conduct original research, included in a capstone project, and interact with Columbia’s industry partners and faculty. The program revolves more around the technical aspects and does not cover business modules to a larger extent. However, students may also choose an elective track focused on entrepreneurship or a subject area covered by one of the institute’s seven centers. NYU was the first university in the world to offer an MS in Data Science program and is one of the best in the world. The MS program is being run by the Center for Data Science at NYU. It is a highly selective program for students with a strong background in mathematics, computer science, and applied statistics. The degree focuses on the development of new methods for data science. The students have access to courses from a wide range of departments including statistics, machine learning, artificial intelligence (AI), biostatistics, business, economics, psychology etc. Students get the opportunity to work closely with folks in the other fields to apply data science to solving real-world problems. You will get to study tracks like Big Data, NLP (natural language), mathematics, data, and physics depending on your interest and career goals. There is ample opportunity for practical training in the form of an internship semester and a capstone project. Besides, the department conducts workshops, tech talks and other events in collaboration with industry professionals. The acceptance rate for NYU data science program is around 15%. Although, the acceptance rate was 5% in 2014 & 2015. Carnegie Mellon University (CMU) is one of the most reputed and top universities for research in computer science in the world. The MS in Computational Data Science at CMU trains students in all aspects of design, engineering, and deployment of very large information systems. Students will cover topics like databases, distributed algorithms and storage, machine learning, language technologies, software engineering, human-computer interaction, and design. Students will develop a unified vision of very large information systems through cover core classes and electives. Additionally, the internship and capstone project requirements ensure that students are ready for the competitive job market. Tech giants such as Google and Amazon come to the campus to sign up students for placements and internships. So as you would expect, competition for admission is fierce, with an acceptance rate of around 10%. But, CMU is unarguably one of the best universities in the US for MS in Data Science. UCB’s MS in Information and Data Science (MIDS) program is a new degree intended for professionals who want to learn how to solve real-world problems in the big data world. 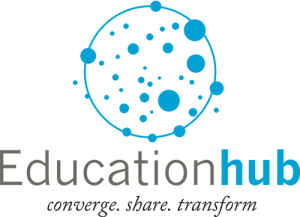 Unlike existing programs that focus on advanced mathematics and modeling alone, the curriculum provides students with insights from social science and policy research, as well as statistics, computer science, and engineering. Courses include statistics for data science, applied machine learning and data visualization. Applicants are expected to have a working knowledge of the Python programming language before beginning the course. Although all coursework is delivered online, students are expected to attend a 4-5 day immersion session on the UC Berkeley campus. Students generally complete the program in 20 months by studying two courses per semester but this can be accelerated to 12 months by taking three courses per semester. MIDS is a uniquely designed program to empower you with the knowledge and relationships you’ll need to accelerate your career wherever you may work and earn a degree simultaneously. It combines the best of on-campus and online education, in an intimate, collaborative environment. The MS in Statistics: Data Science program at Stanford is one of the finest in the lot. Students will develop a broad understanding of data science, statistical modeling, programming, and data mining. There is also scope for specializing in machine learning, big data in medicine, business intelligence, and distributed data management. Upon the successful completion of the MS program, students can also undertake Ph.D. in Statistics, ICME, MS&E, or Computer Science at Stanford (but of course, no guarantee). Being located in Silicon Valley (Palo Alto, California), students are ideally placed to pursue work experience and internships with the many tech giants. So, if you are looking at to do MS in Data Science in USA, Stanford must be on your list. Based out of Palo Alto, Stoodnt is working on Machine Learning and Artificial Intelligence as well. So, you could also end up in an internship with Stoodnt. The MS in Computer Science with specialization in Data Science program at USC is run by the Viterbi School of Engineering. The program provides students with a core background in Computer Science and specialized algorithmic, statistical, and systems expertise in acquiring, storing, accessing, analyzing and visualizing large, heterogeneous and real-time data associated with diverse real-world domains including energy, the environment, health, media, medicine, and transportation. The program puts a heavy emphasis on stats, algorithms and systems expertise. The core curriculum is pure computer science—think classes in AI, data systems, data analysis. The department is one of the top 20 in the US and has got strong links with companies like Boeing and the US Military. The University of Virginia is a top quality and all-around school. Its reputation is equal to an elite private university but charges tuition fees at the rate of public universities. The MS in Data Science program at Virginia is an 11‐month professional master’s program, which starts at the beginning of July and ends the next year in mid-May. The compressed duration is designed to minimize the time from start to finish, and the cohort experience will allow students to consistently work together in teams and gaining real-world experience. The courses are taught by faculty from the Departments of Computer Science, Statistics, and Systems and Information Engineering. Every year, the institute hosts Datapalooza, a University-wide showcase of data-driven research, resources, and outreach. The MS in Data Science program at Indiana University, offered by the School of Informatics and Computing is a unique program as it offers two distinct paths for students – a technical path and a decision-maker path. The technical track covers topics like analysis of algorithms, cloud computing, and network security systems. The decision-maker path includes project management, strategy, business intelligence, and communication. The school has got a huge reputation in quantitative analysis and computer science, and there is scope for research opportunities as well. The school is also known for its focus on business, making it a great option for students who are also looking to go into management. The MS in Computer Science with Data Science concentration a great one if you want to develop and apply methods to collect, curate, and analyze large-scale data, and to make discoveries and decisions using those analyses. Regarded as one of the best research universities in the US, UMass Amherst is a great place to study. It’s a two-year program, in which you will develop an in-depth understanding of Machine Learning, NLP, Statistics, and Advanced Algorithms & Systems for Data Science. The MS in Data Science program at Minnesota is jointly delivered by the Department of Computer Science and Engineering, the Department of Electrical and Computer Engineering, the School of Statistics and the Division of Biostatistics. It is a great program for folks who want to dig deep into the data world; one of the best places for data mining and data management. Research opportunities are available in a wide variety of fields that range from big data processing in mobile cloud platforms to comparing climate simulation model performances. The University of Minnesota is currently ranked 4th in the world among academic institutions in data mining. The program also offers excellent opportunities for those who want to work in the public health domain – healthcare informatics and healthcare analytics. For example, the Institute for Health Informatics at Minnesota has got a big team of researchers working on natural language processing. The MS in Data Science program at UW provides technical skills to extract meaningful insights from the large and noisy big data. The program will equip students to build deep expertise in managing, modeling and visualizing big data to meet the growing needs of the modern world. Courses include Statistics & Probability, Information Visualization, Data Science Visualization, Statistical Machine Learning, Software Designs for Data Science, Experimental Design, Data Systems & Algorithms, and Capstone Project. Students will get to work with the top talent from the data science world, and gain valuable real-world experience. Being located in Seattle, students will be in close proximity to tech giants like Microsoft and Amazon. Thus, it is a strategic geographic location to start your big data journey. Last but not least, classes are held in the evening on the UW Seattle campus. So, you can work while studying a top-notch program. 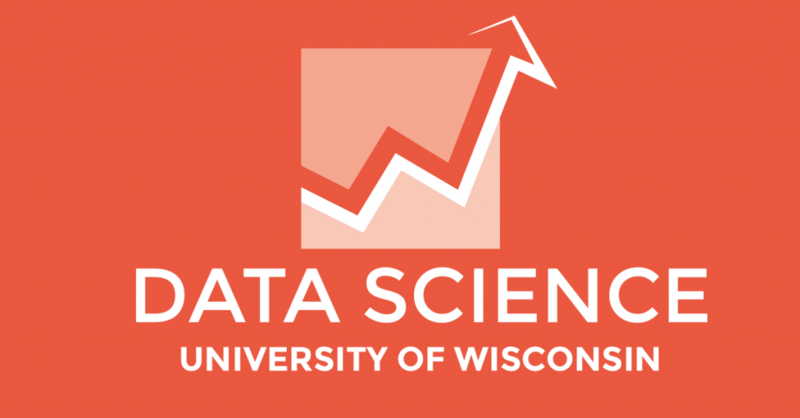 The MS in Statistics – Data Science at Wisconsin combines a statistical theory, methods, and practice related to data science along with communication skills to make the new generation of leaders who will use data effectively for planning, strategy, communication and decision making. Located in the famous tech hub, UW features in the top 10 of U.S. News & World Report rankings for both comp science and statistics. There is one drawback. Students enrolled in the MS Data Science (MS-DS) option are not allowed to accept research assistantships, teaching assistantships, project assistantships or other University appointments which grant waivers of tuition and/or academic fees. However, students can get corporate sponsorship. The course is highly suitable for the folks who want to move up the leadership/career ladder. The MS Computer Science with Data Science Track at NCSU is a multidisciplinary program. 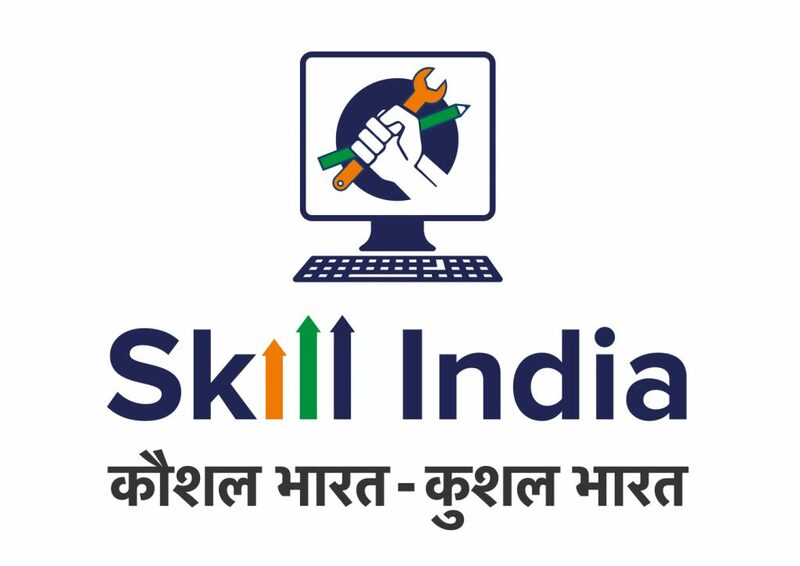 The program will help students to develop essential skills for knowledge discovery efforts. Besides, students will also gain exposure to decision-making skills – including skills in managing, querying, analyzing, visualizing, and extracting meaning from extremely large datasets. Some of the key courses are Algorithms, Artificial Intelligence, Machine Learning, Automated Learning & Data Analysis, Data Mining, Database Management, Cloud Computing, Human-Computer Interactions, Social Computing, Intelligent Game Learning, and Computational Methods for Molecular Biology etc. The MAS in Data Science and Engineering program at UCSD is primarily aimed at early- to mid-career data professionals working with massive data sets. So, perfect for the folks who are currently on a technical leadership track or those who are looking at a career shift in data science. Courses are delivered on alternating weekends, on a Friday/Saturday schedule, with instructional materials available online. Since it’s a career-focused program, the core curriculum is built around the fundamentals of data science fundamentals – programming, analysis, systems, and machine learning. In the second year, students are expected to work in teams to design a data science project. The MS Data Science program at Rutgers is a highly analytical degree course. Students will gain a deep understanding of algorithmic tools and computational skills for data extraction, data analytics, data visualization, and summarization. The practical training (internship) is a mandatory critical component of the program; thus, very effective for employability. The MS in Computer Science – Data Science Track at UI-UC offered in partnership with the School of Information Sciences and the Department of Statistics. It’s more or less an online program. The program emphasizes new statistical and computational tools that are transforming business and society. Apart from lectures, students will learn through Coursera’s MOOC platform. If you are planning to apply to any of the above programs for Fall 2019 intake, you will find this post helpful – Fall 2019 MS Application Deadlines and GRE Cut-Off for MS in US. Looking at to apply to these universities, and need professional guidance? Contact us today for personalized university list, SoP & Essay Review/Edit, CV & LoR guidance, assistance with financial aid, or end-to-end guidance! Please be advised that I have listed the programs (above) that are primarily focussed on data science along with statistics, machine learning, data mining, and software/programming after referring to the university/program websites, course content and popular Blogs on Data Science. 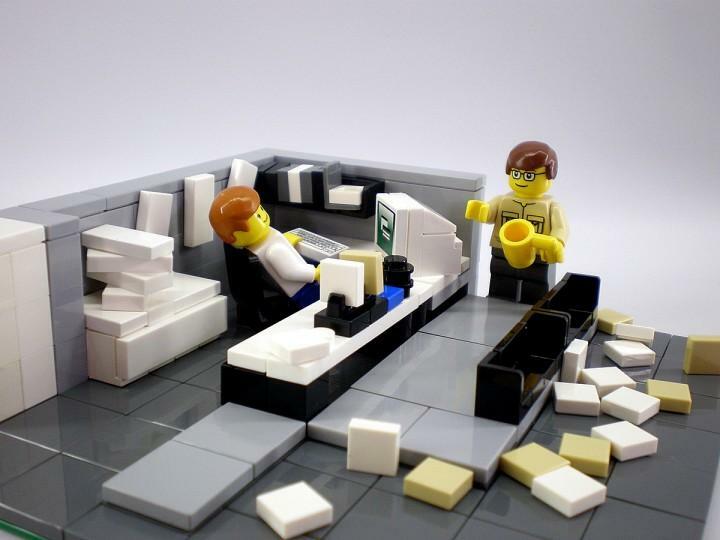 I haven’t listed the programs that revolve around Analytics. For courses on Data & Business Analytics, please refer to Best MS Analytics Programs in USA.